Appointment times will be random. All students who register prior to the Feb. 2 deadline will be randomly assigned appointment times. No outside criteria will be used during the room sign-up process. This is a change from the ranking system used in previous years. But don't worry, students who wish to keep their same room/hall will still be given the opportunity to do so before the appointment times begin. No more sign-up fees. Returning residents who wish to live on campus next year will not have to pay a sign-up fee. Students currently living off campus will only have to pay the initial $35 housing registration fee (required by all residents) to participate in the room sign-up process. 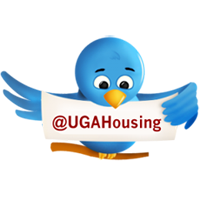 Now that you know how easy it is to sign up for on-campus housing next year (and you know there are several great reasons to), it's time to start planning! Sign up for your living space today - It's easy! Immediately after the Secrets to Room Sign-Up sessions, open house tours will be offered in Brown Hall, Busbee Hall, Mary Lyndon Hall, Oglethorpe House, Reed Hall, Rooker Hall, and Rutherford Hall. Drop in for a tour or tweet us during that time using #RSU14 and we'll have someone on standby to answer all of your sign-up questions. Then, explore all the options University Housing has to offer and come up with a list of halls and rooms you are interested in. Go to the Tour the Halls section for hall descriptions, floor plans and photos. Talk with your friends and have your roommates for next year lined up in advance. And, if you're feeling up to it, start planning ahead for next year's Room of the Year contest. It's never too early, and we have great tips here and here. 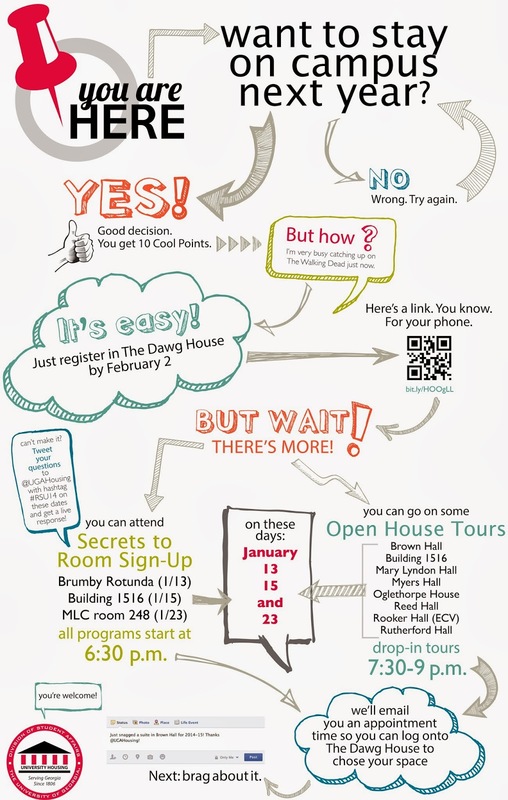 Have more questions about Room Sign-Up 2014? Visit our website for more information or sound off in the comments section below.